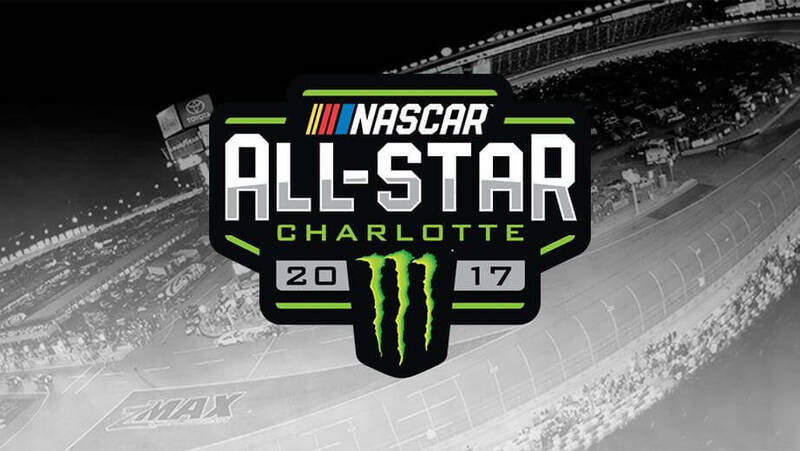 As far as betting websites are concerned, the 2017 Monster Energy NASCAR All-Star Race is as meaningful as any other event of the season in the sense the people can place wagers on the outcome. The actual drivers’ mileage may vary, though; the winner on Saturday, May 20th doesn’t get Cup Series points, but he will leave Charlotte Motor Speedway (CMS) $1 million richer. Martin Truex Jr., Brad Keselowski, Joey Logano, Kyle Busch, and Kyle Larson are among the favorites. The event is open to race winners from the previous and the current season, active All Star race winner or Cup Series champions, the winner of the Fan Vote, and stage winners in the Monster Energy Open. Keselowski has a rule named after him in the All Star Race but has never won the event. On the other hand, he was the 2010 NASCAR Nationwide Series Champion and has won six races between last season and this one, so has more than enough qualifications to go ahead and try to win it for the first time this year. Truex won the Kobalt 400 and the Go Bowling 400 – which was actually the previous race to the All Star Saturday – thus securing a spot in Charlotte. And speaking of CMS, this is a course that Truex knows very well; he led 392 of 400 laps to win the 2016 Coca-Cola 600 there. In addition to that, Truex has been victorious at 1.5-mile tracks on two occasions this season, making a betting websites’ favorite. Logano won the 2016 NASCAR All Star Race, meaning that he is more than welcome to attempt to join Davey Allison and Jimmie Johnson as the only drivers to win the event back-to-back. Logano has not been as lucky this season, though, finishing in the bottom 30 in three different races – though he did win the 2017 Toyota Owners 400, so he would have had a claim to the All Star Race regardless. The younger Busch had his last win a little over a year ago but that still suffices for him to throw his hat in the All Star ring. The 2015 NASCAR Cup Series Champion has won 38 races in his 14-year career but, unlike his older brother Kurt, he has yet to become an All Star Race winner. Larson currently leads the Monster Energy NASCAR Cup Series drivers’ standings with 475 points, although he has won only one race (the Auto Club 400) – which is still enough to guarantee his presence this Saturday. Larson won the 2016 NASCAR Open, but crashed into a wall in the final laps of the ensuing All Star Race. Harvick took the All Star race honors in 2007 – the same year that he won the Daytona 500 – and won the 2014 NASCAR Cup Series Championship. He may not win the All Star event consecutively, be he can still join such multiple winners as Dale Earnhardt and Jeff Gordon, even though betting websites don’t give him that much credit.